On 06apr2015 I got an email from Nick asking if he could explore under the surface at Lake Mill with a metal detector. I replied, why not try Bear Mead first? The result was a spear made in the time of Homer and Troy. Sean MacDonald Conditions: Dry and warm.15°C, grass still short. Groundwater 102 cms below surface, river 154, within 200 yards of the Bear Stone monolith. Composition: Classic bronze: 90% copper, 10% tin. Value: up to £300. 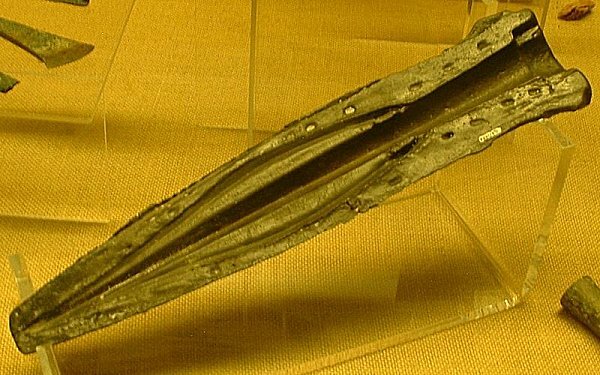 "A type of spearhead typical of the middle and later stages of the European Bronze Age in which an elongated hollow was cast into the base of the blade to receive the shaped end of the wooden spear shaft. 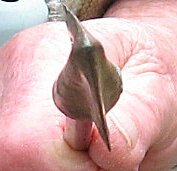 Some socketed spearheads are fixed to the shaft by means of a peg set at right angles through the metal walls of the spearhead and the wooden shaft within; others are secured by lashings fixed to loops cast into the base of the metal spearhead." About 7 cms below grass surface, on gravel sub-surface, 10 metres South of Dorset Stour, at Bear Mead. 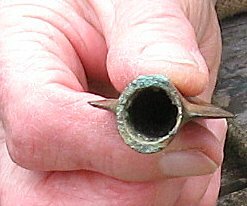 One half of a bronze mould for casting a socketed spear head, found at East Pennard, England. Dated to the period 1400-1000 BC, it is without parallels. Photographed in the Somerset County Museum, Taunton, on 29-Oct-05. 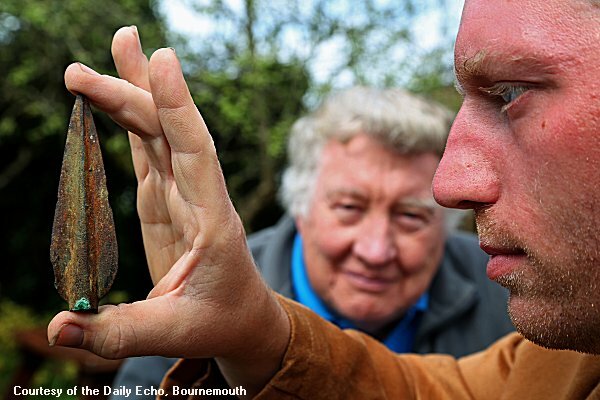 HISTORIANS searching for clues that will lead them to the site of an ancient mill have unearthed a 3,000-year-old spearhead on the site of a private nature reserve. The land, once an unwanted flood plain, was transformed into an idyllic space by Corfe Mullen man John Palmer 12 years ago after it failed to attract any bids at auction. After planting 500 oak trees on a stretch of the 25-acre site, Mr Palmer set about uncovering some of the land's secrets. The 74-year-old said: "One of my interests is building websites, and I have designed one that tells the story of Bear Mead. "Through that website, I received an email from three men who were interested in locating the site of Lake Mill, which I believe is the site of the mill for Corfe Mullen mentioned in the Domesday Book. There would be nothing to see there at all any more, but they were interested in bringing their metal detectors onto my land, and of course I said that would be fine. They had barely started searching when they found the spearhead." Research conducted by historians has revealed that the spearhead was created in the Bronze Age - a span of time stretching between 1500 BC and 700 BC. As such, it is predicted to be 3,000 years old. The artefact weighs just 65 grams, and is made up mostly of copper ore from Wales. 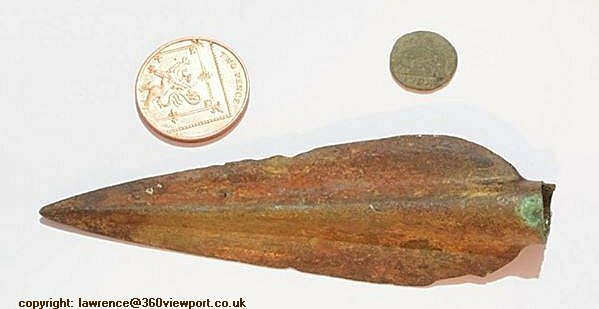 Around 10 per cent of the spearhead is made of tin, mined in Cornwall. Mr Palmer said: "We made an agreement together that the spearhead should go to the Priest's House Museum in Wimborne for safe-keeping. "Shortly it will be available for public viewing at the museum." 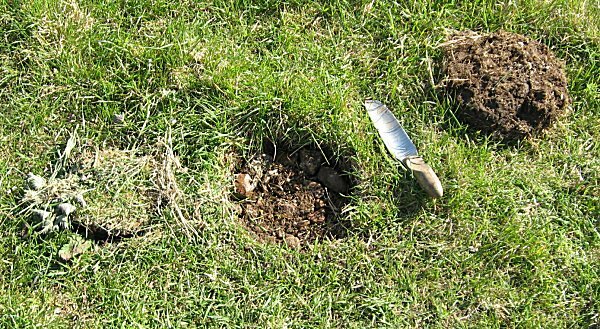 It's not the only find made on the reserve - Mr Palmer also discovered a one-tonne monolith lying flat in the earth during the winter. Although not deemed to be of historical significance, the monolith, created from rock quarried in Purbeck, is suspected to have been ferried to the site by water many thousands of years ago. A length of "peculiar" wire found on the borders of the land was also uncovered as Mr Palmer and his wife worked to clear hedges and ditches at the reserve. It is believed that the former owner would have had to place the wire around the land when an enclosures act was passed in 1813, making it a requirement for landowners to fence off their property.